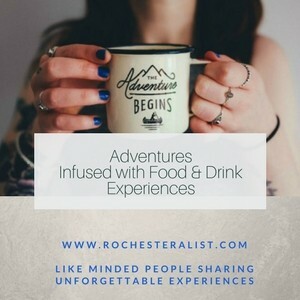 Thank you for trusting us to give you the dish on all the best things in Rochester: From shopping to spa services, fine dining to the cocktail scene… we’ll help you find new businesses to love and in this case spa services to covet. 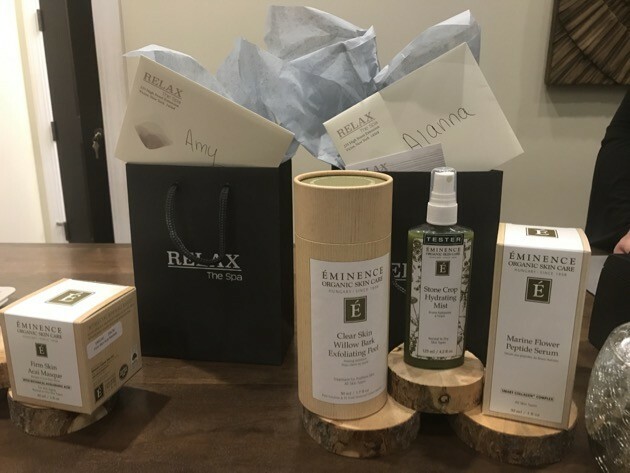 RELAX The Spa Rochester invited A-List editors to experience some of their newly introduced organic services. 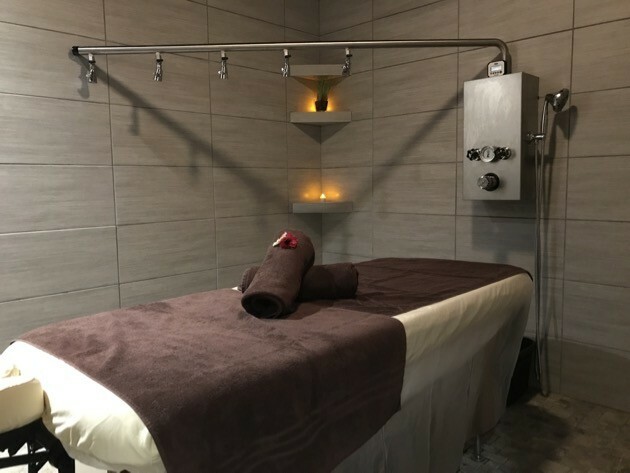 We’re sharing our experiences (one each month) and RELAX The Spa is extending an exclusive offer to A-Listers to enjoy the service for yourself. Let’s just say, it’s been a beautiful season of facials, wraps, massages, all in the name of research. Wink. *Exclusive Discount Offer for A-Listers Below. If you’ve ever read one of our Spa Insiders here, you’ve probably noticed there is a pattern. 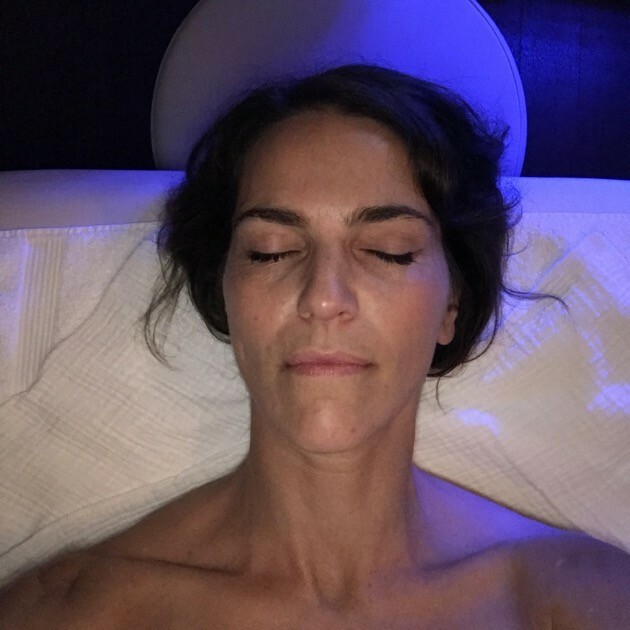 The A-List spa reviewers love to spa and try new spa services, and share the ones we love most and recommend. Don’t hate us; we do it for YOU, in the name of science and for fellow humankind! 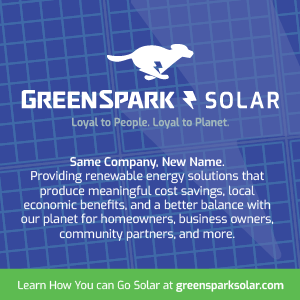 We want you to spend your hard earned dollars wisely. I am an organic skincare fan. When I made the switch to using organic products on my face, I started to see the skin I always hoped to have and I received the first compliment on my skin EVER. So when I learned about the new organic nourishing body scrub at Relax the Spa, I was intrigued, hopeful and ready! If you’ve been to Relax the Spa, you know it’s an oasis to de-stress and be transformed into a more beautiful you. If you haven’t been, here’s what to expect. They open the door for you and greet you with a smile. There is something really nice about that first second you walk in the door. 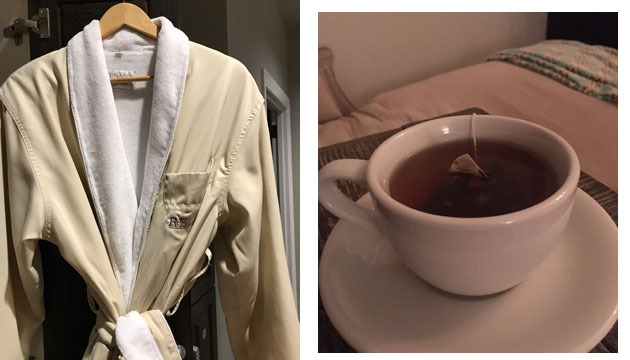 Once you are checked in, a receptionist shows you to the locker rooms where you slip into a thick, cozy Relax the Spa robe and slippers. If you were smart (that’s what these Insider articles are for), you arrived early to enjoy time in the quiet room. I sipped my herbal tea and let my worries and thoughts drift away taking in the ambiance of the low lights, cushy chairs and fireplace. The top photo is my chair in the quiet room. The perfect hygge vibe. Hygge: My new favorite word. [noun] A quality of cosiness and comfortable conviviality that engenders a feeling of contentment or well-being. Any time a person washes you, is a pampering level of 10 in my book. This was not my first Vichy shower, and it wont be the last. This isn’t me, but it could be, and it could be YOU. Vichy shower is an indulgence I highly recommend. A Vichy shower is a shower on a moveable arm with several shower heads so that more of your body is receiving the warm spray of water and less of you is cold. You do nothing but lie there as someone lathers on products, massages you and rinses them off all while you are warmly being showered (literally) with warm water or draped in a warm water soaked towel. This is what the Vichy shower room looks like. The moveable shower arm rainbar sprays you, those towels and that bed. Your job is to just lie there and be pampered. The first time I received a Vichy shower treatment, I felt like I was a celebrity- and my initial thought was no one should be washing me; this is so weird. But shortly after that initial thought, I quickly came to the realization that I quite possibly was famous or just extraordinarily wealthy in a past life because this felt very comfortable to me. And Ah-mazing. I highly recommend a Vichy shower treatment at least once in your life. 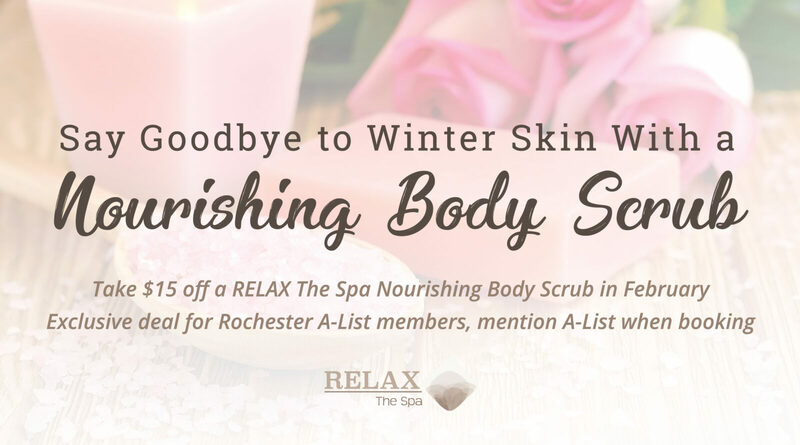 The nourishing body scrub at Relax the Spa is a hell yes, so take advantage of the exclusive discount (see below), and try one of these this month for less. So what do you wear for a Vichy shower treatment? The answer is nada. You could wear bathing suit bottoms if you want to, but then the sides of your tush won’t get scrubbed. I suppose its like wearing a bathing suit in the shower. You could, sure, but why would you? Just like when you receive a massage, you are completely covered at all times. They use several towels to keep you warm and covered and keep switching them out. Its a big laundry day for little old you. You are that special. All of those towels are just for you, and someone else is going to wash them. The products used in this treatment are from Eminence Organics. The ingredients come from nature and they smell incredible. Think of a bowl of ripe blueberries. Thats’ what you’re smelling. No perfumes, just natural goodness. That is if you like blueberries which i think is almost everyone, right?! To get my skin healthy and renewed, my scrub masseuse Stephanie used a Blueberry Soy Sugar Scrub, a Blueberry Soy Slimming Body Wrap, and an Age Defying Citron Massage Soufflé. Doesn’t that even just sound amazing? Knowing the products do not include chemicals but instead ingredients designed to nourish, heal and improve the health of your skin, made them and the experience that much more enjoyable. The scrub was not harsh. 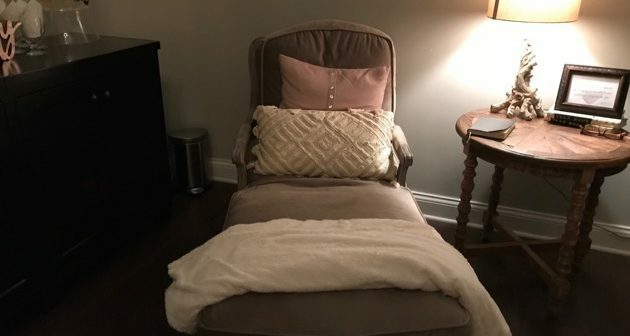 It felt comfortingly rough like it was doing a job, and then was followed by the Citron Massage Soufflé which Stephanie massaged onto my skin sending me into another level of blissful relaxation. I grabbed this photo from Eminence’s website because this is what it smelled like going on my skin. My skin felt so smooth and silky (not greasy) that I was blissfully impressed and couldn’t stop touching my skin in awe. It was so soft and a far cry from what it was when i walked in on a cold wintery Rochester, NY day. In an attempt to duplicate this at home with products, I took home the Stone crop lotion (my new love) and the apricot body oil which I combine in my hand before applying morning and night. Two of the products used in the treatment are meant to be used by an esthetician and not for use at home (or for sale). The Blueberry Scrub is available but they must have been out of it the day I went in. I am a big fan of the entire Eminence Organic line. My recommendation is to try them all! They truly are amazing, smell and feel great. And the results are healthier skin, less dry and more amazing. Stephanie was fantastic. She’s also a massage therapist at Relax the Spa so remember her name for your next massage. This is Valentine’s Day month (and yes they offer couples massage). They sent me and my friend home with little goody bags of samples! With this month’s exclusive discount for A-Listers, you can enjoy $15 off!! 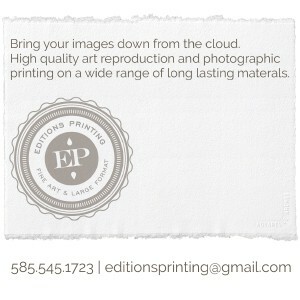 I highly recommend this service for anyone who wants to try something different and amazing. You will have the softest skin ever! Be sure to let me know if you go and what services you try! I’m also in love with the hydra facial, and the yoga massage. 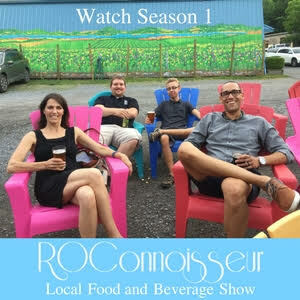 Read my past review. I received both in one day and it was one of my favorite days ever. ps. I am usually not one to buy any products after a spa treatment, but the Eminence line I fell in love with. I also bought the Hibiscus Eye Cream. I’ll be back soon for more products, some spa time and hygge vibes. This post wouldn’t be complete if we didn’t also share the Valentine’s Day specials at Relax the Spa. View them here and this one is an exclusive offer for A-Listers… Buy a $125 gift card, and receive a $20 promo card. 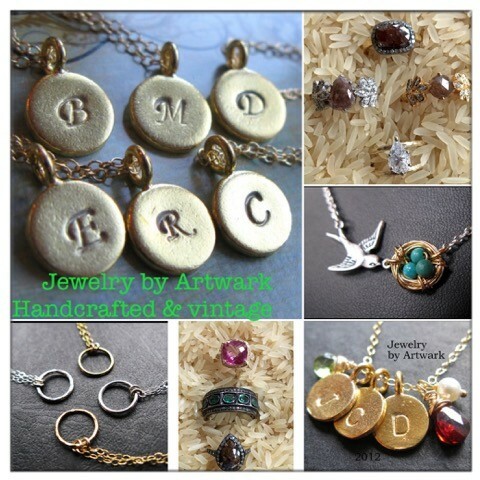 Just mention you are an A-Listers when you purchase. 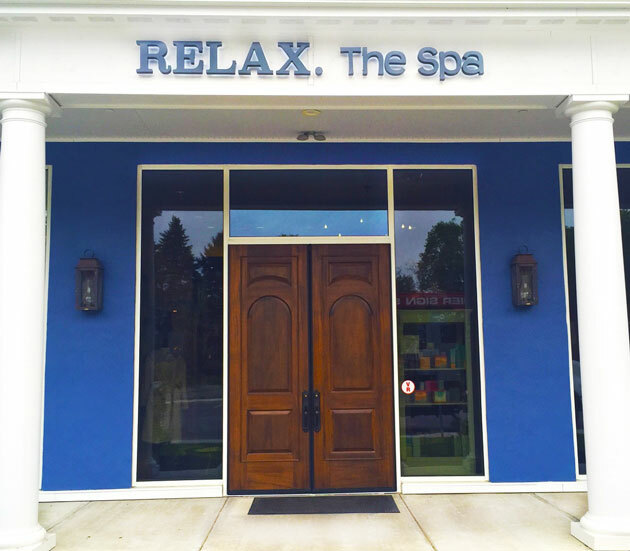 Relax the Spa is located at 235 High Street Extension, Victor in the beautiful blue building behind the Northface Store. Book your appointment online or by calling 585-412-4994.